The armed forces of the United States of America are running a number of projects to modernize the land vehicle and amphibious vehicles during the next few years. The Armored Multi-Purpose Vehicle (AMPV), based on a modified Bradley chassis, will replace the obsolete M113 (not called Gavin) in the Army's inventory. The AMPV features enhanced protection against mines and improvised explosive devices (IEDs), a total of 2,907 AMPVs will replace the M113-based vehicles as general-purpose vehicles, mission command vehicles, mortar carriers, medical evacuation and medical treatment vehicles in the US Army's Armored Brigade Combat Teams (ABCTs). On the long run a further 1,922 AMPVs might be procured, if the M113 should be replaced at brigade level (and lower) on a one-to-one basis by the AMPV. In general both Army and USMC are interested in upgrading or replacing the existing medium weight personnel carriers (both APCs and IFVs) in the near future. The Army is working on improving the M2 Bradley and the Stryker, developing ECPs (engineering change proposals) and prototypes for future enhancements. The Marines meanwhile are working on a survivability upgrade of the tracked Amphibious Assault Vehicle (AAV), which is being developed by SAIC. It includes a new ceramic armor package (which supposedly offers the same protection level as the currently used Israeli-developed spaced applique armor, but improved buoyancy), an underbelly plate against mines, blast-absorbing seats for the passengers and crew aswell as improved mobility thanks to a new transmission and upgrades to the engine. 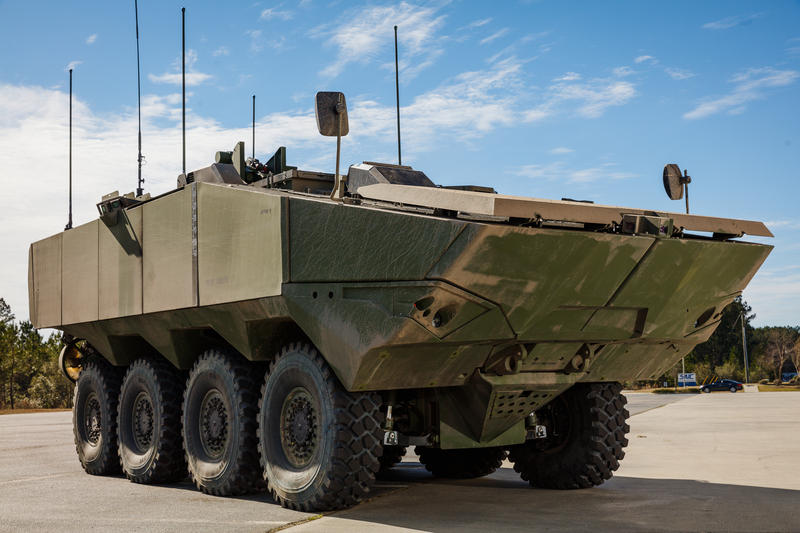 The other big ground forces project of the USMC is the Amphibious Combat Vehicle (ACV), a 8x8 wheeled vehicle with amphibious capabilities. Two contenders have been shortlisted, one of them being a proposal from SAIC and ST Kinetics, while the other offer is a version of Iveco's proven SuperAV incorporating technology from BAE Systems. However the US Government Accountability Office (GAO) has proposed to move the decision on the ACV into the fiscal year 2019. The US Army has recently accepted a prototype version of the Stryker 8x8 wheeled vehicle fitted with a Kongsberg Protector MCT-30 turret, which is armed with a fully stabilized 30 mm XM 813 chain gun, based on the Mk 44 Bushmaster II from Aliant Techsystems (ATK), as urgent operational requirement for the Germany-based 2nd Cavalry Regiment (aka the 2nd Dragoons). This variant of the Stryker is known as the Stryker ICV Dragoon or simply Dragoon, the official designation is XM1296. The vehicle is expected to enter actual troop service in May 2018. 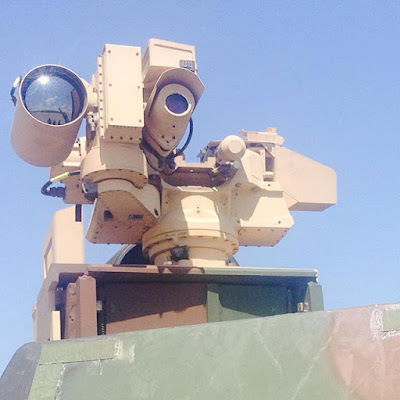 Aside of the 30 mm cannon, the unmanned MCT-30 turret can be fitted with an optional coaxial machine gun, that is externally mounted above the gun shield, but apparently the US Army hasn't opted for it. Another option not taken on the Dragoon is the inclusion of a separate sight for the commander, which would have enabled the vehicle to be used in hunter-killer operations. The gunner is provided with an optronic unit including a thermal imager, a daysight camera and a laser-rangefinder. The MCT-30 turret stores only 150 rounds of 30 x 173 mm ammunition (two types, of each 75 rounds), however unlike other unmanned turrets it can be reloaded from the interior, if the space below the resupply hatch is not occupied. It offers only limited ballistic protection, reaching only STANAG 4569 level 1 in the base configuration. With applique armor the protection can be boosted up to level 4 (resisting 14.5 mm AP ammunition fired from 200 metres distance); the Dragoon's turret is fitted with bolt-on armor, however the exact protection level has yet to be revealed. The new Stryker variant is not without it's issues. With only 81 old Stryker ICVs being converted to the Dragoon variant, is it a rather rare and hence will be relatively expensive. Spare parts might be limited and only be supplied to the repair depot(s) in Germany, making operations outside of Europe rather unlikely. The 30 x 173 mm calibre is also not very common in the Army, but used by the Airforce and Navy (with ammunition types not necessarily suited for the Dragoon). It is also limited in capabilities due to the fact that the Dragoon is based on rebuild Stryker with flat-bottomed hull - not on the improved vehicle with double-v hull, that was adopted after the Stryker's vulnerability to mines and IEDs became apparent. This means the vehicle is not suited for assymetrical and hybrid warfare, but also suffers from being non-optimal in conventional warfare (seeing how Soviet/Yugoslavian anti-tank and anti-infantry mines lead to the adoption of many mine protection kits during KFOR and how popular mines have become in Ukraine). The Stryker Dragoon should be considered an interim solution, designed following an urgent operational requirement. If the Army decided to increase the amount of Dragoons, it should take a number of steps to enhance the basic design. Lithuania for example has ordered 88 Vilkas infantry fighting vehicles (IFVs), which are Dutch-German Boxer wheeled 8x8 vehicles fitted with the Israeli-made Samson Mk II remote weapon station (RWS). This offers the same level of protection as the Kongsberg Protector MCT-30, is however including a dual-launcher for Spike-LR ATGMs and an independent optic for the commander. Furthermore the Boxer includes a multi-layered composite floor to protect against large anti-vehicle mines, while the frontal area of the hull is resistant to the Soviet-made 30 mm APDS ammunition at combat ranges. Such ammo is currently still used by the Russian Army. A key project for the US Army is to adopt a Mobile Protected Firepower (MPF) vehicle to provide infantry units with enhanced firepower against opposing infantry, fortifications and lightly armored vehicles. According to the Army's requirements, the main gun has to be stabilized for on-the-move firing, while the optics and fire control system should support operations at all weather conditions including night operations. The new vehicle is required to be air-transportable via a C-17, although transportability with a C-130 is desired. The MPF vehicle should be capable of being low-velocity air-dropped from said aircrafts with initial combat capability (main gun and coaxial armament ready without any need for the installation or adaption of the equipment). The MPF vehicle has to be able to operate 24 hours in IBCTs (infantry brigade combat teams) without refueling. Protection has to be provided against small arms fire and artillery fragments with the option to install additional armor kits, including an underbelly plate against mines and IEDs. The US Army is currently experimenting with the USMC's LAV-25A2, an 8x8 vehicle based on the Swiss Piranha-design, in order to figure out the role of the future MPF vehicle, aswell as to develop tactics, techniques and procedures for the new vehicle. 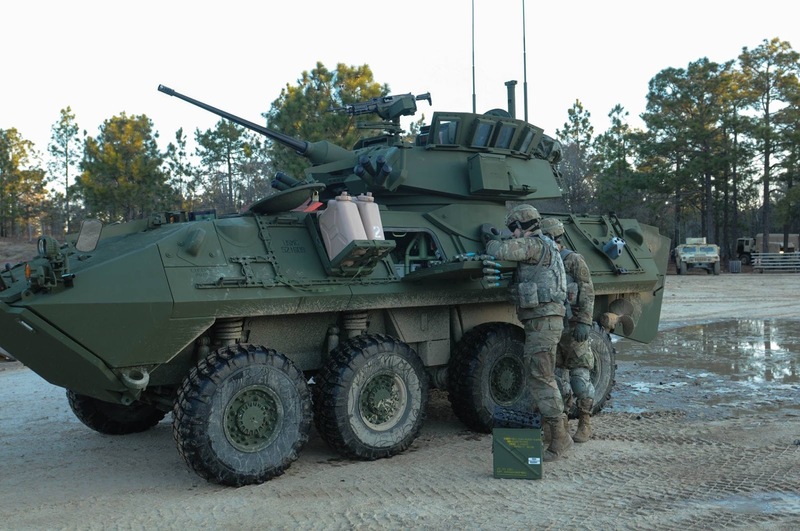 Soliders of the 82nd Airborne Division (at least some of the men belonging to the 73rd Cavalry Regiment) were trained on the LAV-25 in the past months before putting the new learned knowledge into use during training and excerises. Based on how well the LAV performs, the Army will create a number of new tactics and probably also a few more specific requirements. 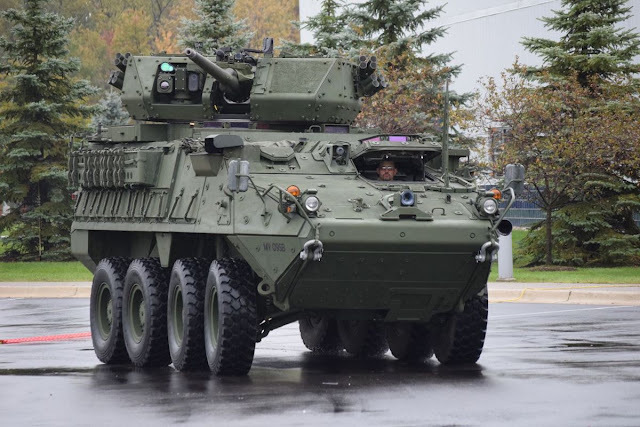 The LAV-25 itself is obviously not well suited for the current Mobile Protected Firepower requirements; it is being unnecessarily bulky and is using outdated armament, so it most likely won't even be considered by the US Army. Despite some members of the US Army wishing for a lightweight MPF vehicle, which could be air-dropped and would be armed with a 50 mm autocannon, the Army has apparently decided to focus on a larger concept armed with either a 105 or 120 mm gun - that's at least what the industry has been proposing to the Army, following first talks between industry representatives and Army officials. The US Army hopes to field a solution for the MPF by the mid-2020s. 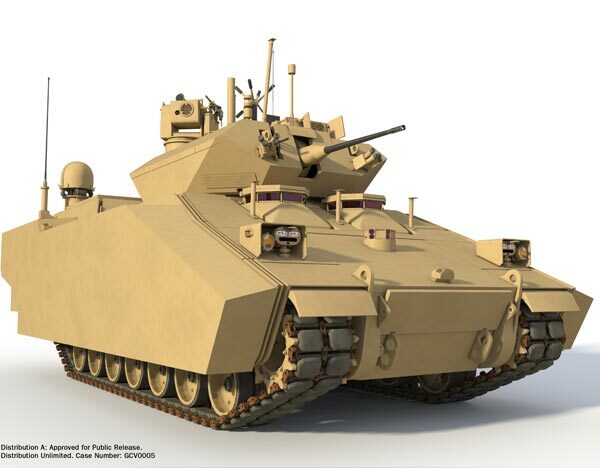 General Dynamics is offering the Griffin tank, a light/medium weight vehicle testbed based on the proven ASCOD design, to start a conversation with the US Army on the topic of mobile protected firepower. To be more exact, it is said to be a variant of the improved ASCOD 2 design, which is also used for the British Scout-SV vehicles such as the Ajax. The turret of the Griffins is based on the Abrams' turret design, but is made of more weight efficient aluminum and lacks any sort of composite armor. It is fitted with the lightweight 120 mm XM360 gun originally developed for the Future Combat Systems, but can accept other types of 105 mm rifled or 120 mm smoothbore guns aswell. The gunner is provided with an optical daysight and a thermal imager, but there is no independent sight for the commander. The weight of the vehicle is about 29 metric tons, the protection level has not been mentioned by General Dynamics representatives at AUSA 2016. However based on the lack of applique armor (as used on the Scout-SV Ajax and ASCOD Ulan), it seems unlikely that the vehicle manages to reach all-round protection against 14.5 mm AP ammunition. BAE Systems on the other hand is offering an updated version of the M8 Armored Gun System (AGS), the last light tank developed in the United States, but never adopted by the Army. The AGS has the advantage of being the only purpose-built light tank on offer in the Western world, being not based on a unnecessarily large infantry fighting vehicle (IFV) chassis. There are variants of the M8 AGS fitted with either a rifled 105 mm XM35 gun or a 120 mm smoothbore gun. Up to two machine guns are provided for the crew: a coaxial 7.62 mm MG and a heavy, roof-mounted 12.7 mm M2 Browning machine gun, The vehicle uses a modular armor concept to adapt weight, ranging from approximately 19 to 25 metric tons, and protection level to the available transport methods and the threat scenario. This concept includes composite armor, perforated armor and explosive reactive armor (ERA). In the basic configuration, the vehicle is only protected against small arms and artillery splinters only. Up-armored to the second armor configuration, the vehicle becomes resistant to heavy machine gun (HMG) fire. Fitted with the third and heaviest armor kit, the vehicle becomes frontally resistant to Soviet-made 30 x 165 mm armor piercing (AP/APDS) rounds and light rocket-propelled grenades (RPGs) without tandem charge warheads. The vehicle is fitted with a modern fire control system including a daysight, a thermal imager and a laser rangefinder for the gunner. The gun is fully stabilized two axis. There is no proper independent commander's optic, thus the AGS lacks hunter/killer-capabilities just like the Griffin. The updated version of the M8 AGS is also fitted with a camera system for enhanced surveillance of the vehicles surroundings and weight-efficient rubber band tracks. Not only BAE Systems and General Dynamics are interested in the MPF contract - the Singaporean company ST Kinetics has also shown interest in providing a vehicle for the US Army's MPF requirements. The vehicle offer is based on a new and still unnamed, tracked APC/IFV chassis developed for to replaced the obsolete M113 Ultra APCs in the Singaporean Army. Currently it is being refered to as NGAFV (next gen armored fighting vehicle). The NGAFV is a tracked vehicle, which is fully digitized. It features a camera system for 360° surveillance and drive-by-wire technology. 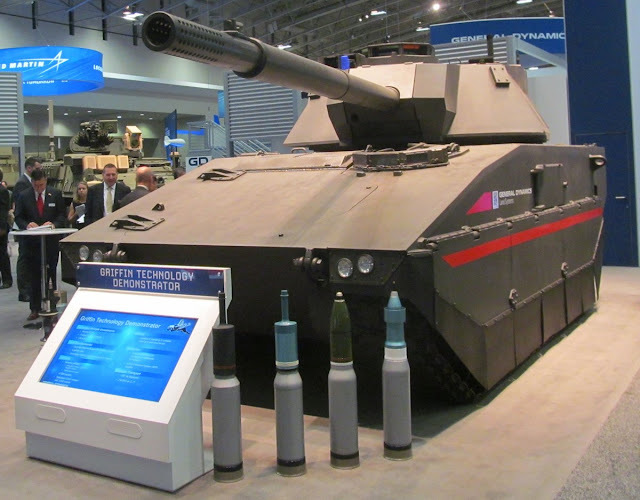 For the Mobile Protected Firepower program, the NGAFV has been fitted with a Cockerill 3105 turret from the Belgian company CMI Defence. This turret is armed with a 105 mm rifled gun with muzzle break, that can also accept ammunition with a higher pressure. It also can be used to fire the Falarick gun-launched ATGM, a co-development of the Belgians with a Ukranian partner. The turret is crewed by only two men, an autoloader in the rear bustle is responsible for taking over the loader's job. The turret features independent optics for gunner and commander, modern thermal imagers for night operations, and a coaxial machine gun. The protection of the Cockerill 3105 turret can be adjusted from STANAG 4569 level 1 to level 5, depending on the customer's wish. Two banks of four smoke grenade launchers each provide the ability to disguise the vehicle and evade unwanted attention. Unfortunately there aren't many details on the NGAFV available. It has a weight of 29 metric tons when fitted with the locally made Adder RWS with 30 mm gun, so the offer for the MPF vehicle is expected to weigh more than 30 metric tons. It is protected by composite armor of unknown origin to reach a currently unknown level of protection, but estimates from the Defence Technology Review magazine put it at STANAG 4569 level 4 ballsitic and level 4a/4b blast protection. Details on the powerpack are also lacking, aside of the vehicle having an engine output of 711 bhp and utilizing ST Kinetic's own HMX3000 fully automatic transmission. According to the Singaporean Ministry of Defnece, the NGAFV was considered to be the most cost-effective option for replacing the M113 Ultra. The Singaporean company has a history of trying to sell it's products to other countries: The Bionix tracked vehicle was offered to the US Army as alternative to the wheeled 8x8 Stryker. ST Kinetics teamed up with Otokar to pitch a licence production of an improved Terrex 1 (known as Yavuz) to the Turkish Army. The Terrex 3 was used as base for the failed Sentinel II offer for the Australian LAND 400 program, while the Terrex 2 is currently being evaluated by the US Marine Corps as part of the Amphibious Combat Vehicle (ACV) program. It seems rather unlikely that ST Kinetics' offer for the MPF vehicle will be successful, there is apparently a lack of competitiveness in vehicle performance or a lack of connections to decision-makers as proven by the failed tenders in Australia, Turkey and the United States. Meanwhile the M1 Abrams will be upgraded to the M1A2 Abrams SEP v3 configuration, development and testing of this is currently under way. First contracts for the development were awarded in 2015. 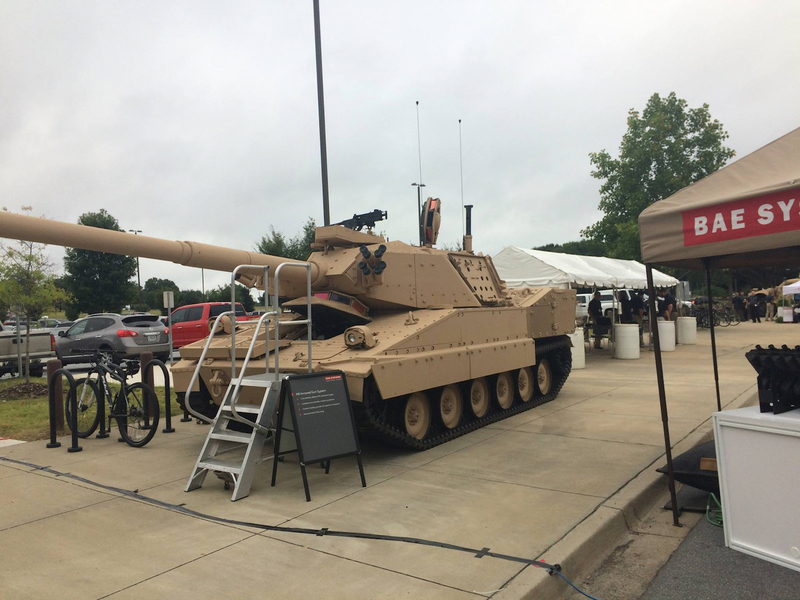 In 2016 testing and development was continued, the new M1A2 Abrams variant is expected to become fully operational after the final full-up system-level live fire testing currently scheduled for 2019. The M1A2 SEP v3 features improved electric systems and power generation to deal with the increased power demands on main battle tanks (MBTs) following the integration and adoption of more electronics or other power-consuming components. Improvements to the networked warfare abilities are also an aspect of the new upgrade. A big part of the third iteration of the system enhancement package (SEP) will be focused on improving the tank's survivability. 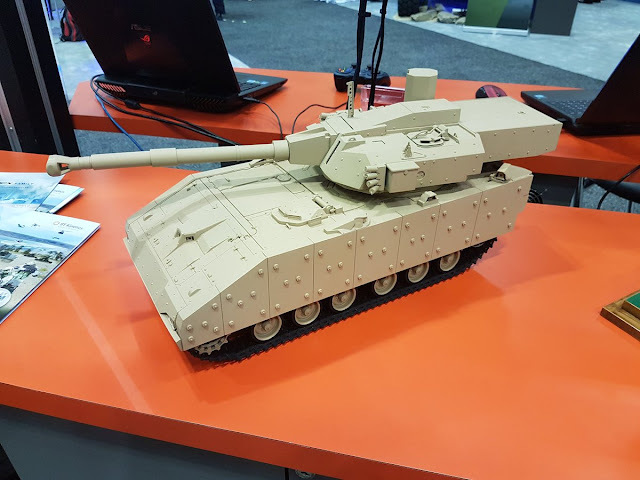 To deal with the increased armor penetration characteristics oof modern ammunition and missiles, the Abrams' armor will be replaced with a newly developed NEA package. NEA stands either for Next Evolutionary Armor or New Evolution Armor, both names have been used in official documents. For the development of the NEA, three Abrams tanks were provided as Government Furnished Material (GFM) to a contractor. The contractor had to remove the old armor package from the tanks, install the NEA package and investigate the impact of the weight increase on mobility. Furthermore a new underbody anti-IED kit will be installed on the tank. Together with other changes this kit will reduce the vulnerability of the Abrams to mines and improvised explosive devices. One of the measures is redesigning the crew seatings and fitting additional floors stiffeners to the floor structure. The material and dimensions of the structural supports will be altered to better resists large mine blasts. The crew will also be provided with lower limb protection. The M1A2 SEP v3 features a new digital interface - the so called Ammunition Data Link (ADL) - for the main gun, which will enable the usage of programmable multi-mode 120 mm ammunition. The older CROWS remote weapon station (RWS) is being replaced with the M153A1E1 CROWS-LP (low profile) variant, which doesn't block as much of the field of view and is about ten inches smaller, thanks to the ammo box, the laser rangefinder and the sights being located at the side of the gun rather than below the gun. 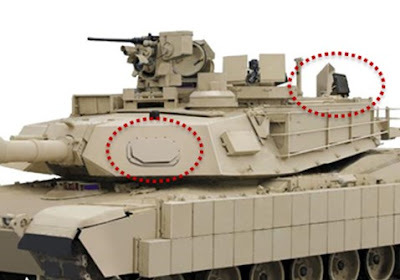 Third generation thermal imagers have been investigated for installation in the main battle tank, but apparently will not be part of the third SEP variant. The M1A2 SEP v3 also has a more powerful auxiliary power unit (APU), which is located under armor. 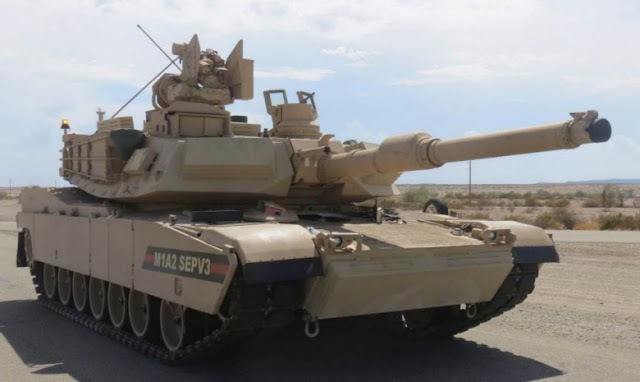 The M1A2 Abrams SEP v3 will be followed by a fourth version of the System Enhancement Package, the M1A2 SEP v4, somewhere in the 2020s. Exact details of the M1A2 SEP v4 upgrade are not known (as development details have yet to become public), however the tank is said to then feature improved networking capabilities, next-generation optics - including a new laser rangefinder and color cameras, weather sensors, a laser-warning system and third generation thermal imagers. The internal electronics will be reworked, streamlining the concept and reducing the number of parts. The M1A2 SEP v4 will supposedly utilize the Advanced Multi-Purpose (AMP) round, which utilizes the ADL found on the SEP v3 and v4 versions. Supposedly the M1A2 Abrams SEP v4 will be lighter despite being better protected. 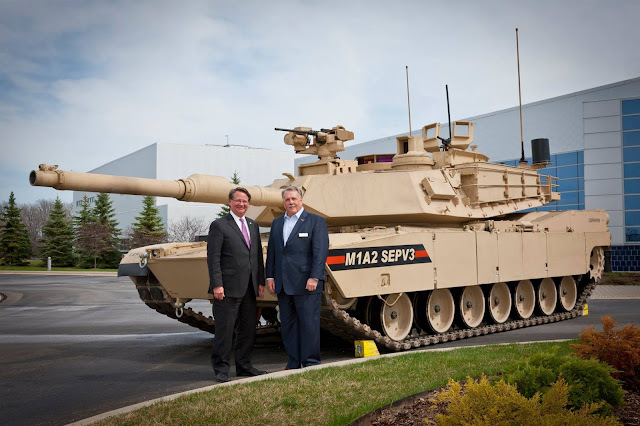 That future Abrams versions would become lighter without sacrificing protection is something that has been proclaimed even before the M1A2 Abrams entered service in the 1990s. While modern armor technology might allow some weight reductions, it's questionable if this would make any difference compared to the state-of-the-art NEA to be integrated in the SEP v3 main battle tanks. One project of the US Army and the US Marine Corps that has been mentioned in the past, is the planned adoption of an active protection system (APS). Apparently there is a big misunderstanding in this regard: The military is currently testing the Iron Curtain, Iron Fist and Trophy systems (testing of the Rheinmetall Active Defence System might start once the budget is cleared for purchasing a number of test systems), but merely for the sake of testing and evaluating currently available solutions. Neither the Army nor the USMC have a current intend to purchase an APS in the next years, at least according to budget allocations and the Congressional Research Service (CRS): "Both Army and Marine officials emphasized to CRS that their respective APS efforts are not in any sense either acquisition programs or Programs of Record by DOD definition. Although there is not a Joint Program Office (JPO) for APS, both services are working in concert on their respective APS programs, which they currently characterize as “vehicle capability assessments” and “technology demonstrations,” respectively, as opposed to formal acquisition programs." A decision wether the US Army will acquire any APS will not happen before FY2018. Meanwhile "[T]he Marines describe their APS efforts as a “technology demonstration” [...]." While it is not sure yet if the designation M109A8 will be adopted after the next upgrade, the US military has handed out a request for information (RFI) for the development of a future upgrade of the M109A7 self-propelled gun (SPG). The M109A7 Paladin Integrated Management (PIM) is an evolution of the 1960s M109 SPG, featuring numerous upgrades to drivetrain, powerpack, electronics and gun. Compared to the original vehicle, it includes improved ballistic protection, better electronics, newer sensors, electric drives instead of hydraulic ones, and numerous other changes. The M109A7 uses a new chassis derived from the M2 Bradley infantry fighting vehicle, featuring the same powerpack and tracks for reducing costs and improving logistics. However it still has a relatively short gun barrel, which results in a shorter range than other current artillery systems. The M109A7 also has a lower rate of fire (ROF) compared to modern self-propelled gun designs such as the K9 Thunder and the Panzerhaubitze 2000. In a first step, the contractor answering to the RFI should modify the M109A7 design to integrate the XM907 Extended Range Cannon Artillery (ERCA), the XM208 gun mount and new drive systems into the vehicle. The ERCA was developed by the US military and uses a longer 155 mm L/52 gun barrel, which increases the effective combat range to the same level as other modern artillery systems. In a second step the contractor is required to modify the M109 design in order to fit the government furnished autoloader into the vehicle. While these changes would enhance the M109A7 dramatically, such a hypothetical upgrade still would leave several aspects of the vehicle to be upgraded. E.g. the US Army demanded a higher level of protection and mobility in past SPG projects such as the XM2001 Crusader and the XM1203 NLOS-C. According to current plans from the US TARDEC (Tank Automotive Research Development and Engineering Center), a replacement for the the M2 Bradley (and possibly the M1 Abrams) will be developed in form of the Next Generation Combat Vehicle (NGCV). The vehicle is meant to transport a "half squad" of six men and has a crew of two - the latter figure being a reduction in crew members compared to the current Bradley. Because the US Army's doctrine focuses on very large infantry squads, two NGCV IFVs will transport a single infantry squad - this seems to be a lesson learned from the US Army atempt to develop the Ground Combat Vehicle (GCV), which due to carrying a nine men squad ended up being too heavy, too large and too expensive. Subsequently the GCV was canceled. How exactly the NGCV will look and what it's capabilities will be is yet to be determined. It will replace the Bradley, but it also could turn into a wider program, being used as basis for a number of different variants, just like the T-14/T-15 Armata vehicles or like originally planned for the canceled Future Combat Systems (FCS) program. 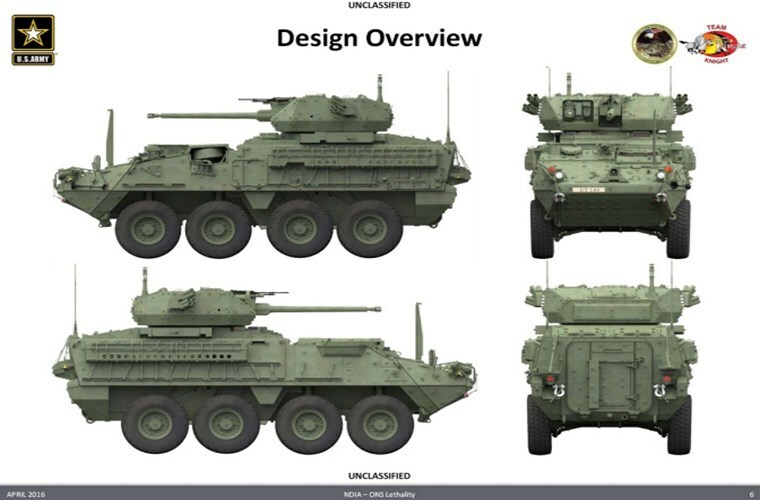 Then the NGCV could also serve as replacement for the M1 Abrams and possibly for the Stryker and MPF vehicle. However the US Army doesn't want to repeat the mistakes from the FCS development: Instead of trying to develop a whole family of very advanced vehicles at the same time, the NGCV will be developed in iterative steps using rapid prototyping. This means that after an initial prototype with a certain set of capabilities has been designed, the system will be evaluated and then a more advanced prototype will be built with enhanced capabilities, based on the experiences with the previous version. This also allows to react to changes in the threat scenario and operational experience, something that wasn't possible with the development path chosen for the Future Combat Systems. 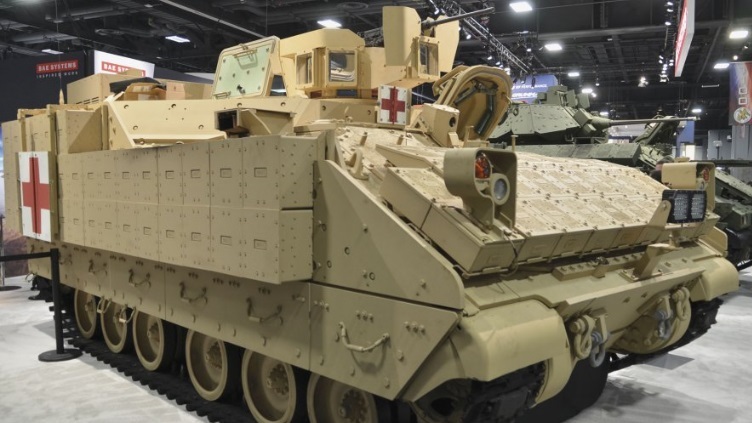 The Army hopes to field the NGCV by 2035. The industry has been asked to form development teams that create proposals for the NGCV or technology that should go into the project. The best design will be chosen by TARDEC and it's makers will be awarded a contract - according to current plans by September 2017. TARDEC and the contractor will develop and test a first prototype desgin over the following seven years. At least two IFV variant NGCV prototypes will be made. In the following three to four years, an enhanced second iteration of the NGCV prototype design will be created, potentially followed by even more. The fiscal year 2021 or 2022 will decide what happens with the Next Generation Combat Vehicle program - if funded, the vehicles could be ready by 2035, assuming everything goes according to schedule. Seeing how France and Germany supposedly will finish (or already have finished) the conception phase of the Main Ground Combat System tank project with 130 mm gun, but still expect to field the vehicle only by 2035, the Army's schedule seems to be quite ambitious... maybe a bit too ambitious? Really fantastic developmental techniques. These projects will be very fruitful as the urge of man is to save time, money and efforts through developments to strengthen the defense.